The fact that the warming that brought the world the Current Warm Period began around 1750 AD, or nearly 100 years before the modern rise in atmospheric CO2 concentration, should be evidence enough to argue that the planet's current warmth is the result of nothing more than the most recent and expected upward swing of this natural climatic oscillation. From approximately AD 1200 to 1410, they concluded that temperatures in the region of their study were “probably higher than today,” providing yet another example of times and places when and where low-CO2 Medieval Warm Period temperatures were likely higher than high-CO2 Current Warm Period temperatures. I cannot find any evidence in the entire paleoclimate record that CO2 has any effect on climate. The results of this paper are not a bit surprising. There are sufficient negative feedbacks to the addition of CO2 so as to negate any effect that CO2 has on climate. These negative feedbacks are provided by good old H2O that dominates the greenhouse effect. Paleozoic had the greatest diversity and quantity of life. Also the greatest capture of carbon out of the air. Followed by snowball earth during Neoproterozoic. It was not till the escape of carbon during the continental brake up did life return to earth. The reality is the world has warmed sence the last ice age and that has been a great improvement for all life on earth. The reduction of diversity has more to do with people population than climate. And nothing to do with carbon. Increased CO2 means increased plant growth and increased food supply. Warmer does not drier. It means wetter. 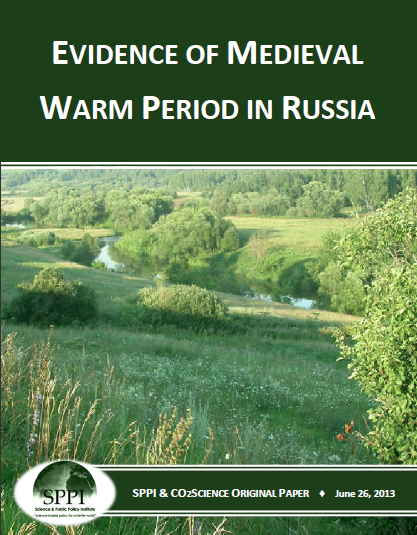 Medieval Warm Period was climate wise much better growing season. The return of Paleozoic epoch would be much better than even a small ice age. The problem is CO2 has little to do with it. We can only conclude one thing: CO2 is good for the earth, considering fotosynthesis and the fact that CO2 has no measurable influence on the temperatures on earth.